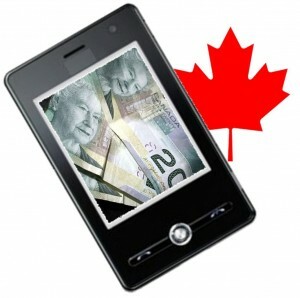 Despite the fact that people residing in Canada are slow to accept the tech, banks are still diving in. In Canada, the major banks are working hard to implement the technology that is required to allow consumers to be able to adopt mobile payments, but at the same time, less than a quarter of the adults in the country can actually use it. A recent whitepaper has stated that the largest six banks in the country are pouring their efforts into a small market. The banks are highly enthusiastic about creating mobile payments apps and services that will allow people to use their smartphones instead of debit and credit cards when they make a purchase in a store. That said, the whitepaper pointed out that only under 25 percent of consumers in Canada actually have all of the requirements that are needed to actually use that technology. This implies that Canadian banks are moving ahead with mobile payments much more quickly than consumers can actually keep up. Financial institutions in the country consider mobile wallets that will be used for smaller purchases – particularly when it comes to those developed through the use of NFC technology – to be a key component of their development over coming years. They believe that this will be integral to being able to satisfy what they think is a powerful consumer demand. 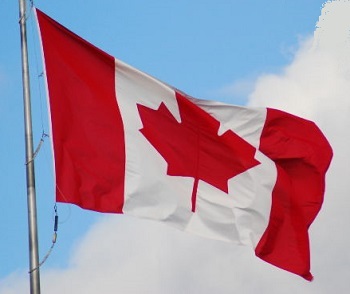 They also feel that it is vital to take on a technologically-forward position, said the whitepaper, which was created in conjunction with the big six banks in Canada. Some of the large banks view the creation of their own mobile wallet app as a vital component in defending themselves against the intrusion of technology giants such as Google and Apple, which are already moving into this space as financial players. They are hoping to be able to establish themselves as the natural choice for consumers, early on, before the technology giants have the opportunity to sink their claws into this marketplace and draw consumers away from the banks. So far, services such Google Wallet and Apple Pay have been launching in a slowly growing number of countries, with the iOS version being seen as the primary threat. Apple’s mobile payments platform has already launched in the United States and it has just stepped into the United Kingdom. Many feel that it will make its way into Canada before the end of the year.